The following represents a compilation of our most frequently asked questions. If your question isn’t answered below submit your question online on our connect page. We’ll try to provide the answer or refer you to an appropriate source of information. Pensacola Bay Center does not provide tickets to these companies. These sites are “speculating” that the sections they have listed will be available for them to sell. Re-sellers don’t buy tickets themselves. They provide an online marketplace for ticket brokers or individuals looking to sell and consumers looking to buy. The only official ticketing site of Pensacola Bay Center is pensacolabaycenter.com or ticketmaster.com. Will call is located at Rodizio Grill Box Office. If you purchase your tickets close to the date of the show, ticketmaster.com will put your tickets at the box office for you to pick up rather than mailing them. You will need identification and the credit card used to purchase the tickets. Visit pensacolabaycenter.com or ticketmaster.com. You may also call 850-432- 0800. What does a random number distribution (lottery) mean and how does it work? The Pensacola Bay Center uses a random number distribution lottery for On-Sales. The purpose is to ensure patron safety, provide effective crowd control and an opportunity for all patrons to have the same chance of being first in line. I am planning to bring a large group to a Pensacola Bay Center event. Can I get a group discount on tickets? Specific shows/events allow groups discounts at the permission of the event organizer. The number that is considered to be a group varies on a show-by-show basis. If you are interested in a specific show, please visit our Group Events page to see a complete list of shows with discounts. Box Office accepts cash, Visa, MasterCard, Discover and American Express credit cards. No checks accepted. To purchase tickets online or by phone you must use a Visa, MasterCard, Discover or American Express credit card. To provide a safe environment, security at all entrances will include metal detecting at every arena entrance and size restrictions on all bags brought into the building by patrons. In the near future, patrons can expect to see walk-through metal detectors at every arena entrance. Bags are restricted to one bag (12” x 12” x 6”) per person and one small clutch purse (6.5” x 4.5”). The small clutch should be approximately the size of a hand. Pensacola Bay Center staffs both private security and off-duty police officers to provide security before, during and after events. Depending on the current Homeland Security National Threat Advisory, the Pensacola Bay Center will base event security upon that level along with the Performers Security Rider. If any prohibited items are revealed during search, the patron will be permitted to return to their vehicle with the items or they can dispose of the item before entry into the venue. 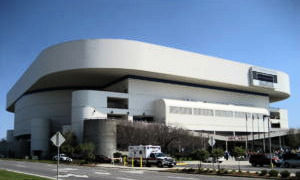 The Pensacola Bay Center will not store any personal belongings or items of any type. Are there any items that are prohibited at events? Weapons of any type, including chains, knives, firearms and spiked jewelry Any other item deemed unacceptable by event/building management. Outside food or beverages of any kind (alcoholic beverages included) may not be brought into the Pensacola Bay Center. For most events, doors open 60 minutes prior to start time. This may vary by event. For specific information, please check the event specific page on pensacolabaycenter.com. 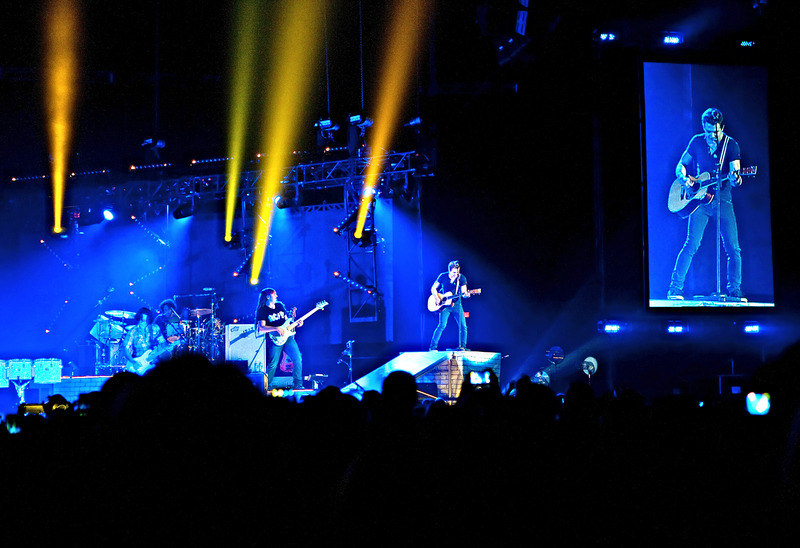 Are cameras allowed for Pensacola Bay Center events? For most events, at the request of the artists and/or leagues, cameras (specifically cameras with professional/detachable lenses and flash) are not permitted. Pensacola Bay Center reserves the right to examine and prohibit the use of any camera that conflicts with the policy set by the event. Audio recorders, video recorders and digital cameras with video capabilities are prohibited during all events. Standard policy is No Professional, No Audio, No Video, No Detachable Lenses. If it's different it will be listed on specific event page. Your sound system is too loud, not loud enough or tough to make out the words. Can you tell your audio people to fix it? Pensacola Bay Center does not control the sound system for events. 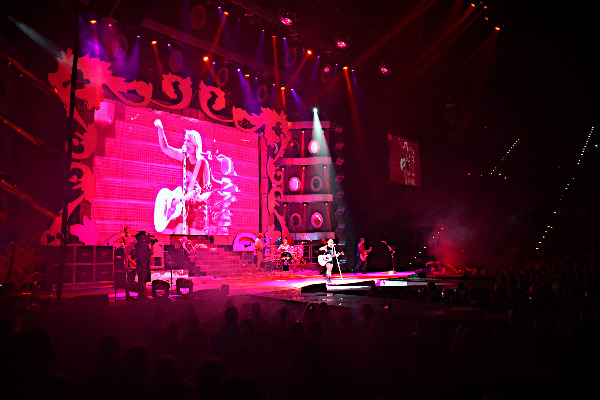 The show provides their own equipment and handles the sound level. During an event, you may inquire about lost or found items at any administrative office located on the first floor. 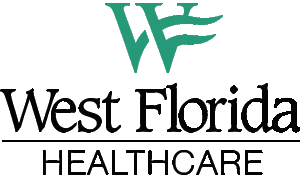 For inquiries following an event, please call 850-432-0800 during normal business hours. Can I smoke at Pensacola Bay Center? Smoking is prohibited in all public areas at the Pensacola Bay Center, including the arena and concourses. A smoking area has been provided outside the main entrances of the venue. Patrons with disabilities may be dropped off via the Alcaniz Street entrance.To view a map of the accessible parking, click HERE. 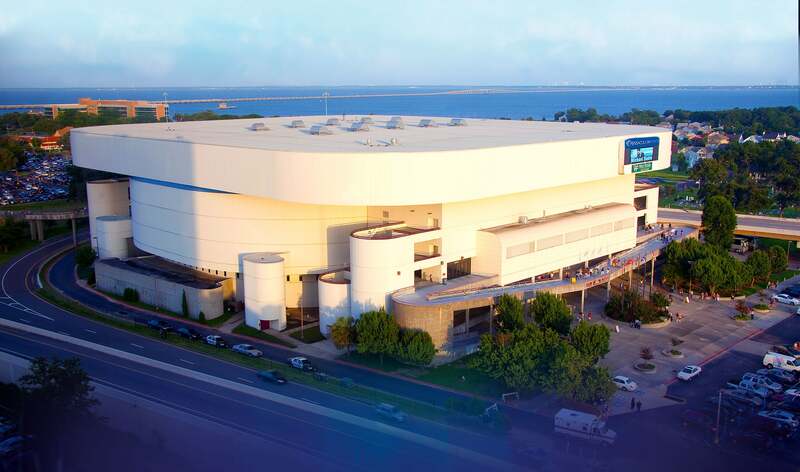 Can I host a business meeting or special event at Pensacola Bay Center? Corporate/private gatherings are available for 10 to 10,000 patrons. Catering and event planning services are also available. Please call 850-432-0800 for more information.